More than 15 years after making their introduction in the cosmetic market place as effective clinical ingredients, peptides have gone from being buzzwords to being recognized as industry staples. While many professional skin therapists and consumers have heard of them, few fully understand the dramatic benefits that can be achieved by these high-performance ingredients, and what they hold for the future of professional skin care. This article will review the structure and function of cosmetic peptides, as well as some family classifications. It will also highlight several proven commercially available peptides for the professional to offer to the client consumer. Peptides can be defined as short chains of amino acids linked together in what’s known as the amine or peptide bond. Amino acids themselves are primarily composed of four elements: carbon, oxygen, nitrogen, and hydrogen, with a few exceptions. There are 20 “standard” amino acids, playing various roles in skin health, which can be found functioning throughout the many layers of the skin. These include lysine, proline, valine, glycine, tyrosine, glutamine and several others. These individual amino acids can be found in many cosmetic formulations for their own unique individual purposes. When these amino acids are hooked together in precise sequences, they open up a new world of high-performance ingredients with special bonds. When properly formulated, peptides have the ability to help skin care professionals effectively address almost every issue that we associate with skin irregularities including wrinkles, hyperpigmentation, acne, rosacea, cellulite and many more. Each amino acid has a portion of its structure that is positive (amine group) and a portion that is negative (carboxyl group). 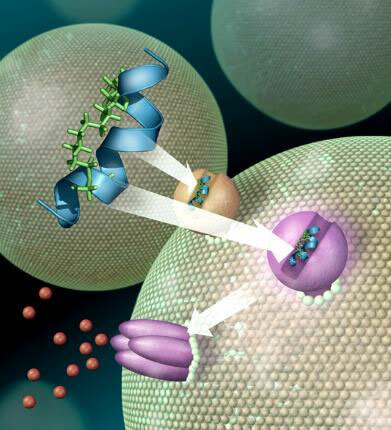 This is the key to understanding how peptides are made. In this case, as in many others, opposites attract. The positive of one amino acid will conjoin with the negative of another, creating the peptide bond. During this bond, water is produced as a byproduct. Figure 1 shows two amino acids bonded together. No matter how many amino acids are hooked together, they will always link the positive of one to the negative of another. Typically, the key difference between peptides and proteins is the number of amino acids. Proteins are recognized as 50 or more amino acids in a single chain, but this is a relatively arbitrary classification, as there are many exceptions to this rule. Most commercial peptides that are used as skin care ingredients are between two and ten amino acids. Peptides are made by the body in vast amounts every day. They help regulate a variety of body functions in various systems. The glycoprotein hormones are the most chemically complex family of the peptide hormones. Three members of this family include follicle stimulating hormone (FSH), luteinizing hormone (LH) and human chorionic gonadotropin (HCG). The synthesis of FSH and LH occurs in the same cells of the anterior pituitary, but their secretion is controlled by the hypothalamic portion of the brain through a third peptide hormone called gonadotropin releasing hormone (GnRH). These hormones have receptors on their target cells, which are mainly the ovaries, and are used to regulate ovulation and the menstrual cycle. Thyroid stimulating hormone (TSH) is stimulated by thyrotropin-releasing hormone (TRH) from the hypothalamus. TRH is a tripeptide synthesized by neurons in the hypothalamus and secreted in a pulsatile manner, with peak secretion being exerted between midnight and 4 a.m., producing a biphasic delivery of thyroid stimulating hormone. In turn, TSH stimulates the thyroid gland to produce thyroid hormone, which is essential for every cell in the body. The pro-opiomelanocortin (POMC) family is a complex of peptides having a wide range of functions in the body. Actually, it is a precursor of several other hormones, including adrenocorticotrophic hormone (ACTH) compounds that stimulate the adrenal gland to produce cortisol type compounds. The major hormone produced from POMC is alpha MSH, which stimulates the production of melanin in the melanocyte. Finally, this versatile complex peptide also produces endorphins which have a profound effect on the central nervous system. With a basic understanding of these primary hormones, it is important to clarify that the peptides used as skin care ingredients are very different from those made and utilized by the body. Primarily, peptides used for formulating topical products have been engineered. Specific sequences of selected amino acids are designed to have an influence on a particular cell or group of cells. There are a number of ingredient supply companies that have made the technology of engineering peptides big business and have reshaped the skin care industry. Typically, cosmetic peptides are designed to engage a particular cell, or group of cells, resulting in a specific function that will vary, depending on the peptide and the target cells. They do this by binding to various receptors on the surface of these cells, and targeting messages to the nucleus via transcription factors. Once the nucleus has received the messages, they will be directed to produce the action that the peptide dictates. Professionals can communicate this action to their clients by stating that peptides are meant to tell certain cells what to do. Two notable properties of peptides are that they are primarily water soluble, and they are relatively large molecules. This combination makes it impossible for peptides to penetrate cell membranes and affect cell activity. In contrast, vitamin A in its many forms is lipid soluble and able to move through the membrane and interact directly with cellular DNA. It is for these reasons that commercial peptides are often formulated with “built in” and/or additional delivery systems and penetration enhancer,s enabling them to reach targeted cells and receptors. Figure 2 shows an illustration of a peptide binding to a receptor on the outside of the cell membrane. Also, "Next Generation of Peptide Technology" is a video lecture that describes this process. The first commercialized peptides were carrier peptides. Introduced in the early 1990s, these peptides were designed to hook to another ingredient and facilitate transportation of the agent to the active site. The first carrier peptide was designed to deliver copper, a trace element necessary for wound healing. From a wound healing application, a peptide known as GHK-Cu was commercialized into a line of skin care products to minimize the appearance of fine lines and wrinkles. GHK-Cu is composed of glycine, histidyl and lysine hooked to copper and was found to induce dermal keratinocyte proliferation. GHK was originally isolated from human plasma and then synthetically engineered. Copper peptides lost their popularity mainly due to potentially harmful properties of copper itself. While critical to collagen formation, copper is a transition metal associated with free radical damage. Copper also has the ability to create advanced glycation endproducts (AGEs) via the Fenton reaction, which can damage collagen and other essential dermal proteins. That said, everything old becomes new again. Copper is now available once again in an ingredient launched in 2013, under the trade name Neodermyl. The manufacturer claims this new version of the ingredient, while not technically a peptide, contains the amino acids proline and lysine that are hooked to either end of the copper to ensure a safe delivery of the ingredient while virtually eliminating the risk of free radical damage and glycation. The largest peptide family currently used in marketed cosmeceuticals is made of the signal peptides. Signal peptides provide a multitude of actions, most notably stimulating collagen, elastin, fibronectin, proteoglycan and glycosaminoglycans. The most popular signal peptide, palmitoyl pentapeptide-4, was released in 1999 and is commercially known as Matrixyl. Palmitoyl pentapeptide-4 is composed of the amino acids lysine, threonine, lysine and serine. It is demonstrated to stimulate the production of collagen I, III and IV. Several newer and seemingly more effective versions of this early technology have been launched over the years by the ingredient manufacturer. Matrixyl 3000 was introduced in 2003, and Matrixyl synthe’ 6 in 2010. Both achieved ready acceptance and exposure because of their efficacy. Below are listed a few of the many signal peptides and their functions, available to formulators. Matrixyl synthe’ 6. This ingredient has enjoyed a meteoric rise in use in the industry, because of its ability to stimulate certain types of collagen as well as fibronectin and lamanin-5, protiens responsible for helping to strengthen the dermoepidermal junction. Preventhelia. This tetrapeptide was born from preventive cosmetics that protect skin cells from UVA-induced DNA damage and is able to promote the DNA repair system capacity, providing skin protection of intrinsic and extrinsic aging. dGlyage. 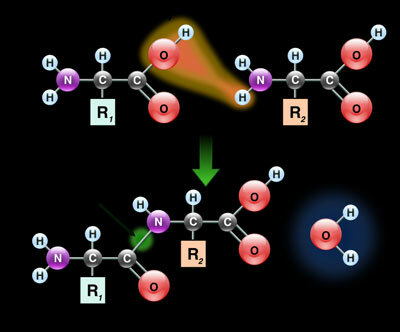 This peptide prevents DNA structure changes triggered by transition metals. It chelates such ion metals that catalyse different reactions producing several DNA lesions. ß-White. This ingredient is a TGF-ß biomimetic peptide encapsulated in a liposome vehicle. It differentiates itself from other traditional whitening agents with its unique inhibitory action on the MITF cellular pathway to decrease constitutive and facultative pigmentation, allowing optimal whitening and lightening effect with an excellent safety profile. Progeline. This peptide is a 3 amino acid peptide biomimetic of elafin, an enzyme inhibitor that regulates the integrity of the extracellular matrix. Progeline decreases progerin synthesis, a new aging biomarker involved in skin cellular senescence. By acting directly on a senescence marker, it clinically improves the appearance of signs associated with skin maturation: sagging, slackness and wrinkles. Telangyn. This peptide helps decrease facial redness and other skin disorders caused by LL-37 activation and subsequent release of IL. It also provides a photoprotective effect, lowering cell damage and skin. Bodyfensine. This peptide has been designed through a combinatorial chemistry approach, stimulates human-β-defensin -2 and -3, enhancing the skin’s natural defense system. Therefore, it maintains the balance between commensal microbes and pathogens in the skin. Diffuporine. This peptide enhances AQP3 expression levels in keratinocytes, which are inherently reduced due to chronologic aging and photoaging. In addition, this peptide presents further properties that contribute to maintaining skin barrier integrity and a youthful appearance. Neurotransmitter peptides function by inhibiting the release of acetylcholine at the neuromuscular junction. They are similar to botulinum toxin in that both selectively modulate synaptosome-associated protein of 25,000 Daltons (Snap-2)5. Botulinum toxin A proteolytically degrades SNAP-25. Acetyl hexapeptide-3, trade name Argireline, is a neurotransmitter peptide that mimics the N terminal end of the SNAP-25 protein that inhibits the soluble N- ethyl-maleimide-sensitive attachment protein receptor (SNARE) complex formation. Acetyl hexapeptide-3 functions topically to relax muscles by inhibiting vesicle docking through prevention of the SNARE complex formation. This muscle relaxation reduces the appearance of facial wrinkles. Much like the Matrixyl family of peptides, the manufacturer of Argireline has since improved its initial technology. Snap-8 (Acetyl Octapeptide-3), a similar functioning peptide, has been shown to reduce wrinkle depth by 63% in 28 days. This provides nearly twice the wrinkle reducing power of Argireline. Enzyme modulating peptides directly or indirectly inhibit the function of a key enzyme in some metabolic processes. Many of the enzyme modulating peptides are extracted from botanical sources rather than engineered through chemistry. Soy proteins, already used in cosmeceuticals for the reduction of pigmentation and the inhibition of hair growth, possess another peptide that inhibits the formation of proteases that breakdown collagen and elastin. Rice proteins possess a peptide that inhibits matrix metalloproteinase (MMP) activity. These naturally occurring peptides are used in cosmeceutical facial moisturizers in combination with the previously discussed synthesized peptides. The use of peptides in a skin treatment product is percentage dependent, thus responsible manufacturers provide a formulary range, low to high, of the effective dose concentration. Using a higher concentration than recommended adds only to the cost, not to the effectiveness of a product. It follows that skimping below the minimum percentage, when adding peptides simply for labeling and advertising purposes, will do nothing to contribute to the product, nor the clients’ results. Bear in mind that the sophistication of peptide technology does not require the professional to become a molecular biologist in order to serve our clientele. As in all new things, the goal is to keep learning, and absorbing a little bit at a time. Be aware that new discoveries in skin science allow us to address ever- more specific skin care concerns with professional skin care treatments and products, with the intention of safely effecting a positive change in the health and appearance of human skin at all stages.